This is another track from the great Diplo v. Santogold mixtape, previously posted, and including link to full mixtape for download here. There's not much info out there on Gerry and The Holograms, other than this was originally released in 1979. Check out Diplo's remix below. Is it me, or does this remix remind me a little bit of New Order's "Blue Monday"? 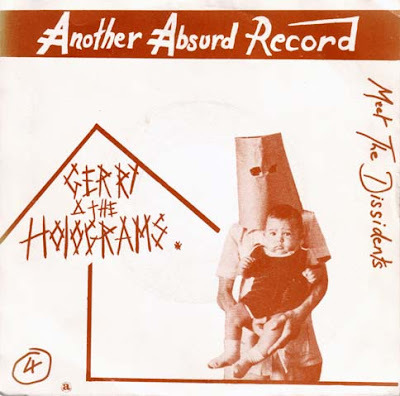 Gerry and The Holograms available on a punk comp here. This blog is proudly featured on The Hype Machine. The Book of Band Names - just like a book of baby names. Rare Medium Well Blog - How do you like your music? Great blog name, The Bedwetting Cosmonaut! Follow Ear Eye Nose Candy on Twitter!!! Buy & Pre-Order music at Amazon! You Don't Have To Be A Prostitute.